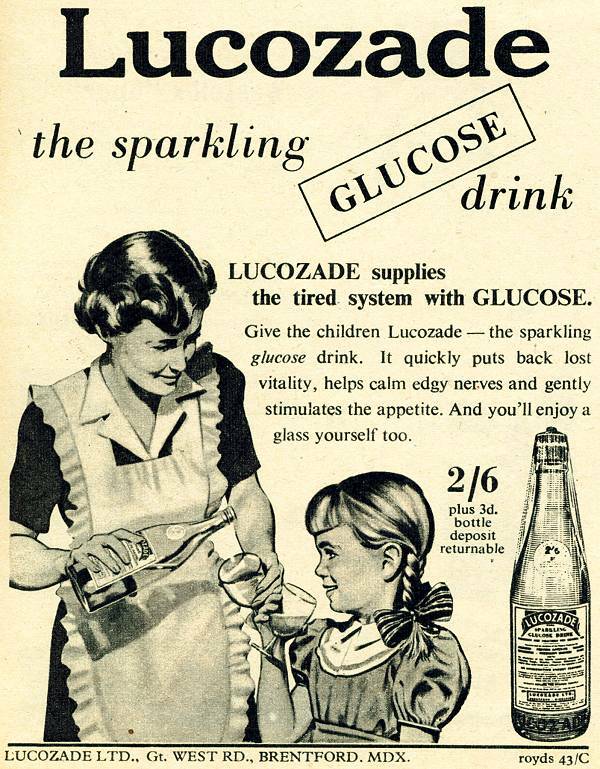 Lucozade was thrillingly fizzy for us kids in the 50's. Fizzy drinks were a rare treat for us then. Unfortunately we usually had to be 'poorly' to justify the purchase of a bottle! The yellow cellophane wrapper was a bonus, for a curious child to view the world through. The gold foil over the stopper could be teased off and flattened out to make a crinkly circle. It never seemed to taste as good when I got older, probably as I was used to other fizzy drinks by then. And it seemed to lose something of its magic when they stopped wrapping it in yellow cellophane.